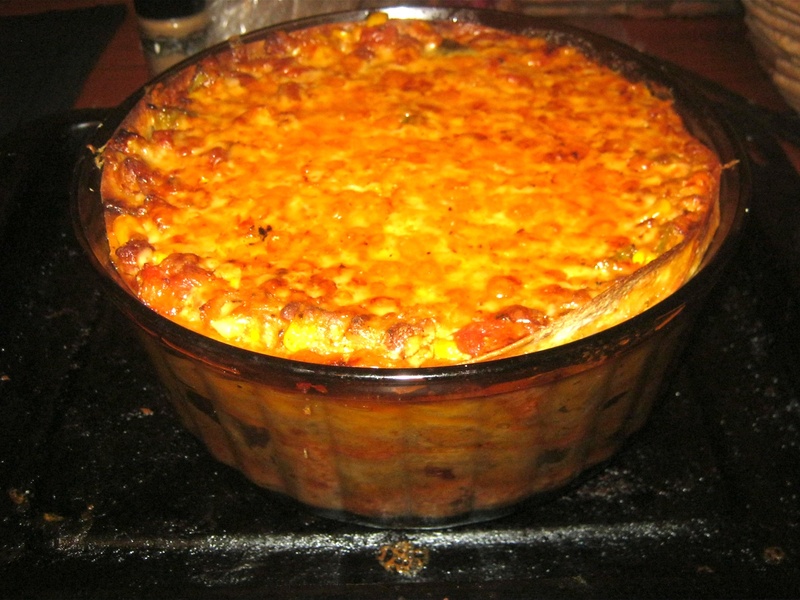 This enchilada lasagne is kind of a wedding of Italian and Mexican cuisine that are meeting in a casserole dish :-)! Lasagna is probably one of the oldest pasta dishes of Italy. It typically comes in flat sheets that are placed in an oven proof dish and alternated with a savory sauce prepared with tomatoes, mince, cheese, garlic and herbs. 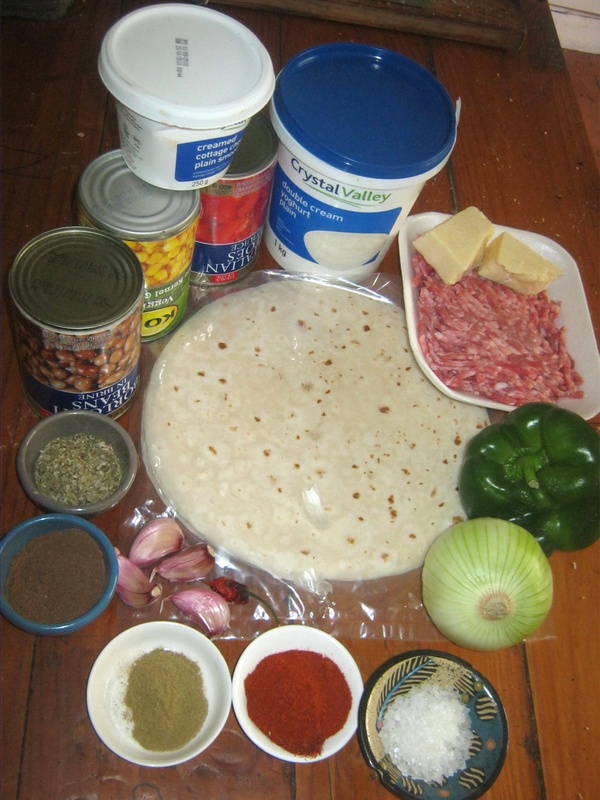 An Mexican enchilada consists usually of a corn tortilla that is wrapped around a filling of meats, maize kernels, tomatoes, herbs, beans and chilies. For this dish I replaced the traditional sheets of pasta with corn tortillas, prepared a spicy sauce with, beans, maize / corn kernels, peeled and crushed tomatoes, cottage cheese, lots of garlic, aromatic spices and some Carolina Reaper chili powder. All ingredients were placed in layers in a high casserole dish and finally sprinkled with a matured (18 month) cheddar, before baked in the oven. The result was delicious and well worth the effort. This recipe was inspired by Mell, you can find her recipe in German language here.